This is a scary fact, which I am sure all us ladies can totally relate to…actually as we speak, I have unruly hair that is giving me a bad hair feeling! ‘The average woman wakes up with unruly hair at least three times during the week* which adds up to twenty years’ worth of bad hair days in their lifetime’ (sourced from : www.dailymail.co.uk/femail/article-2386750). We all know that confidence is key to a good mood, and according to the professionals these bad hair days can lead to females spending 4 hours and 26 minutes feeling upset about their hair! I’m still shocked by this fact, as that is a lot of time us ladies spend feeling upset about our hair and appearance! Clearly, every woman loves to have great looking hair and thanks to Batiste™ Dry Shampoo, this is now a stress-free task. With a few quick steps, Batiste™ refreshes your hair between washes leaving it feeling gorgeously clean and fresh with added body and texture, no water required, saving you 2 minutes in your daily beauty routine. Batiste™ Dry Shampoo is specifically formulated to banish oily roots and revitalise dull, lifeless hair. 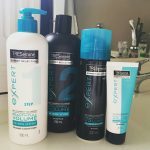 It contains a unique rice starch formula that absorbs grease and is light on your hair so it won’t weigh it down or leave a heavy residue. All you need to do, is simply spray it onto your roots, massage in thoroughly using your finger tips and then brush it out. Voila! – gorgeous clean looking hair! I am all about quick, easy and convenience. I just love something that can save me a little time, as I am always so busy and hardly ever have the time to do anything that is not 100% necessary. That’s why I love Batiste™ Dry Shampoo! If you don’t have time to wash your hair but need it to look refreshed and revived…then all you need to do is spray a little in, brush through and you are ready to face the world with gorgeous hair! What more could a girl want! 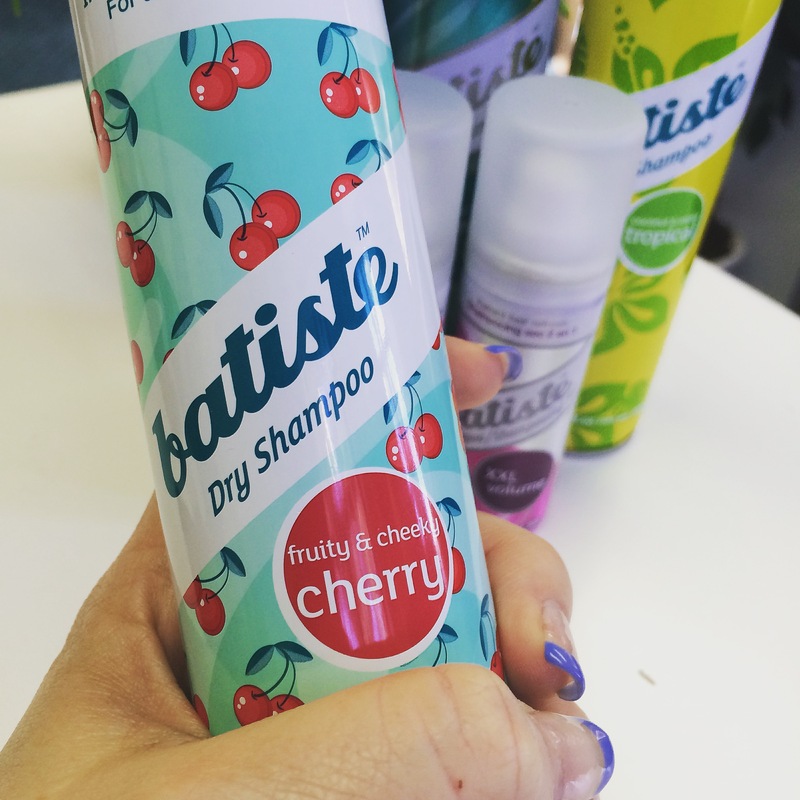 My favourite is Batiste™ Dry Shampoo Cherry…it smells so delicious and that smell lingers in your hair for hours…which is just amazing! Love the fact that when I get home after a long day and brush my hair…all I can smell is cherries. It makes my day (yes, it’s the small things in life). 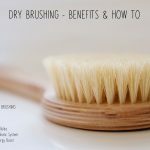 I normally use my dry shampoo a couple of times a week, especially after GetFit as I shower there…which means I don’t always have time to wash my hair. So, Batiste™ Dry Shampoo is the perfect solution! It is so easy and convenient to use after gym or anytime really. 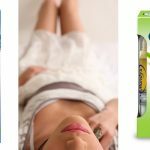 If you are like me and always on the run or rushing around, this product could possibly change your life and routine by saving you some time…and let’s be honest, we could all do with some extra time. Batiste™ Dry Shampoo is only available at Clicks and the extensive range consists of 7 different variants, Original, Tropical, Blush, Fresh, Cherry (my favourite), Volume XXL and there is also a conditioning range for smooth and shiny looking hair – Smoothing Conditioner and Strength & Shine. 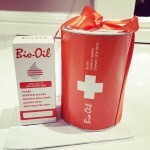 Additionally, Original, Tropical and Blush are available in a handy dandy travel/handbag sized 50ml. The packaging of Batiste™ Dry Shampoo is so gorgeous, it’s so unique and colourful and you can just see that it was inspired by the catwalk. It stands out on the Clicks shelves and makes you want to grab it and see what it is and how you can use it. For a product that is imported all the way from the UK, the cost is not unreasonable at all. It is R 69.99 for the 200 ml core range, R 79.99 for the 200 ml premium range and R 39.99 for the 50 ml range. Time: When you’re in a crunch, Batiste™ offers an easy way to refresh your hair that’s quicker than the traditional wash, dry, style routine. Post-gym touch-up: Batiste™ Dry Shampoo is a post-workout essential that offers a quick and convenient way to freshen up on-the-go. Fringes: A quick spritz of Batiste will help you to keep your fringe looking fresh this summer! Volume: Batiste™ can be used as a styling tool for added body, texture and volume, especially when styling updos. 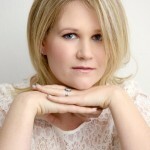 Colour: Use Batiste™ Hint of Colour to cover up roots or stray greys. 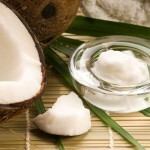 Natural & fresh: Too much washing can deplete the hair of its natural oils. Batiste™ offers functional cleansing benefits by absorbing but not stripping the hair of its natural oils. Space out your hair washes and use Batiste™ to keep your hair looking clean.